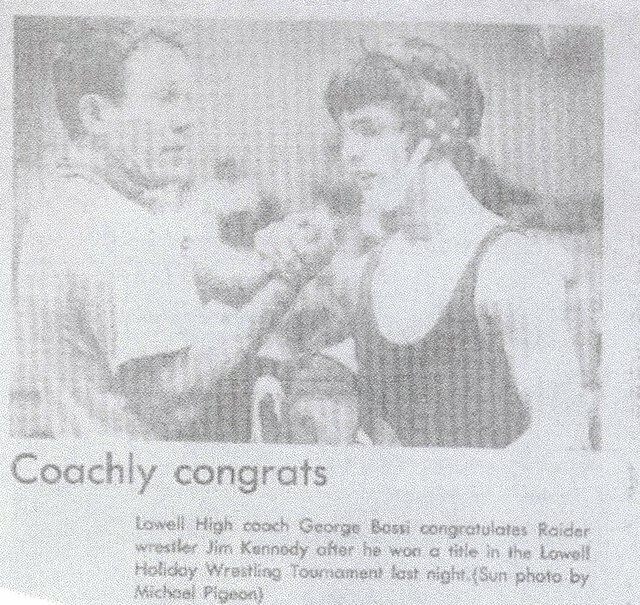 Referred to by legendary Lowell High School Wrestling Coach George Bossi as one of “the best I ever coached,” Jim Kennedy earned honors at the local, state, and national levels spanning his school and college careers. 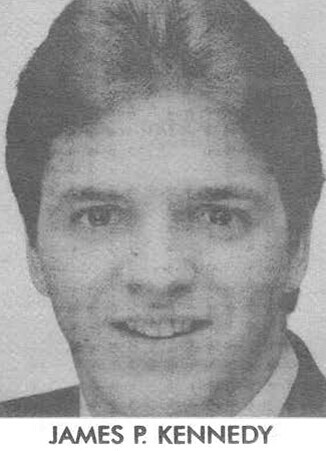 Jim illustrated the promise of things to come during his freshman year (1983–1984), compiling a 35–5 record on his way to a 3rd place finish at the State Tournament. 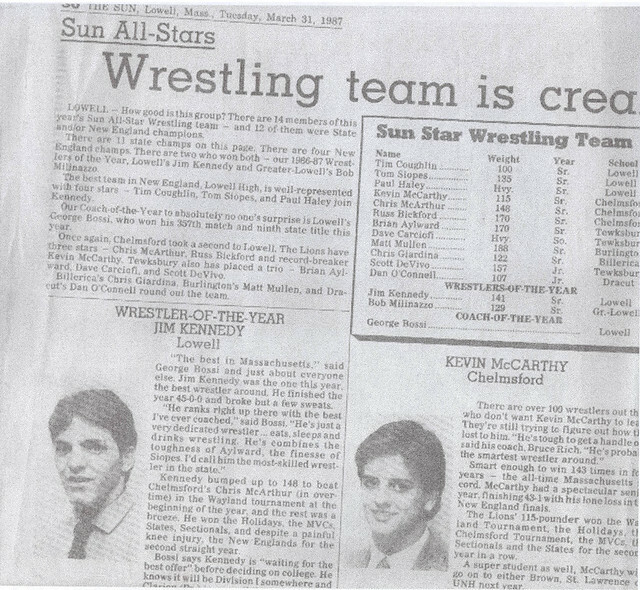 As a sophomore, (1984–1985) Jim’s season was off to an auspicious start when he placed 1st in the 121-lb. weight class at the prestigious Lowell Holiday tournament. A subsequent injury, however, curtailed his season. During Jim’s junior year (1985–1986), his success increased. 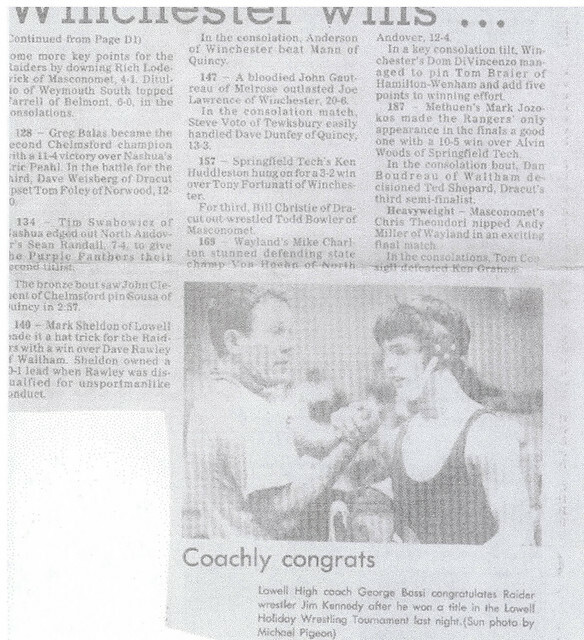 On his way to compiling a record of 34–3–1, he followed 2nd place finishes at both the Division I Sectional and State Tournaments by winning the New England Championships at 135 lbs. 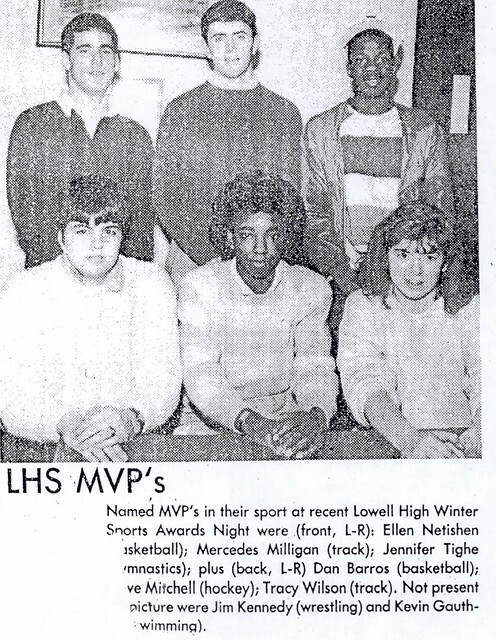 He earned Boston Herald All-Scholastic honors at the conclusion of the season. 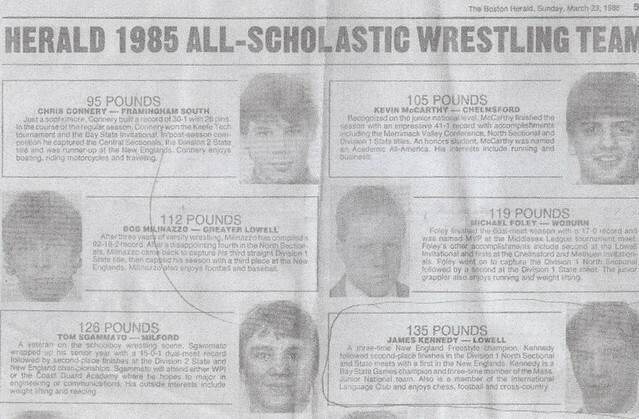 As a senior (1986–1987) Jim compiled one of the most outstanding seasons in the storied history of Lowell High School Wrestling. 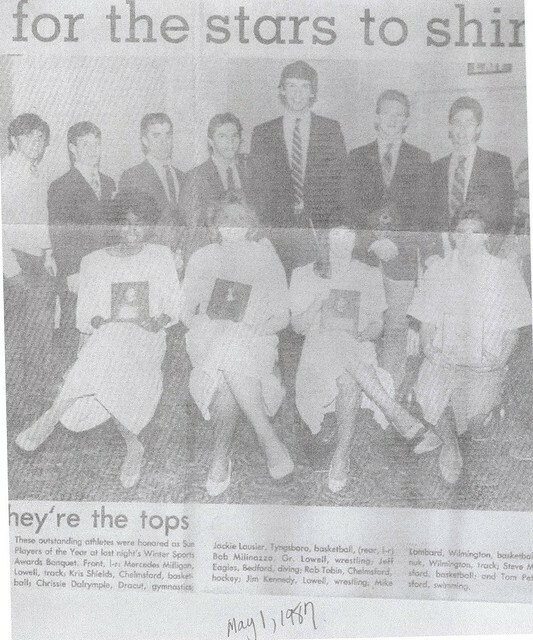 Jim finished the season undefeated with a total overall record of 45–0. 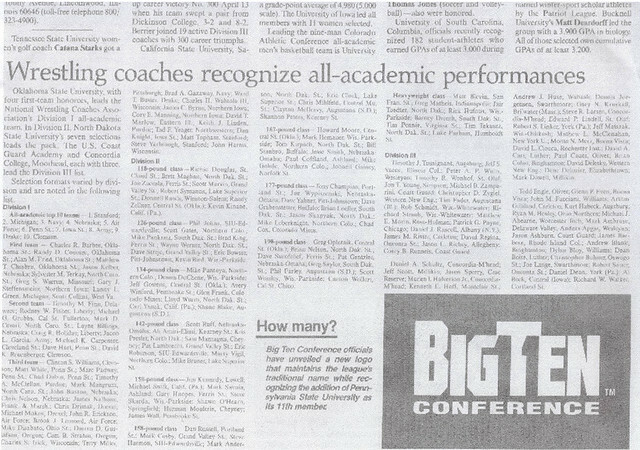 Competing primarily in the 141-lb. 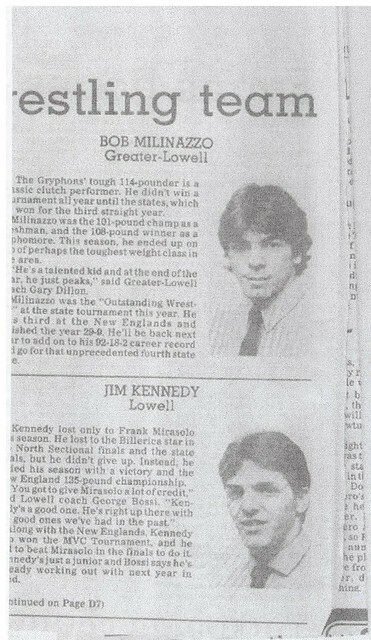 weight class, Jim won numerous tournaments, including the Lowell Holiday, Wayland, Merrimack Valley Conference, and the North Sectional. He culminated his season by winning the 141-lb. Championships at both the Massachusetts and New England Tournaments. 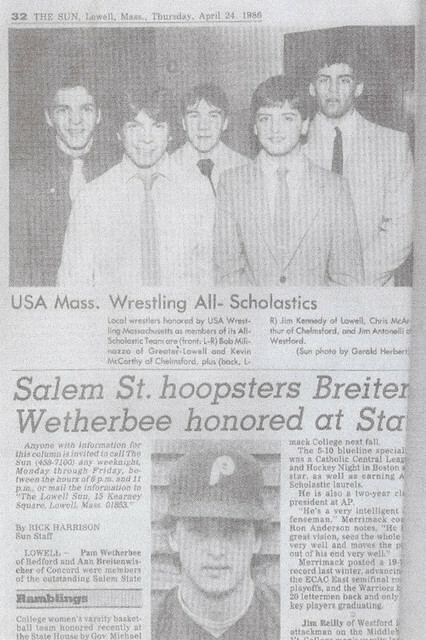 A consensus All-Scholastic, Jim was named as Wrestler-of-the-Year by both the Boston Globe and the Boston Herald. 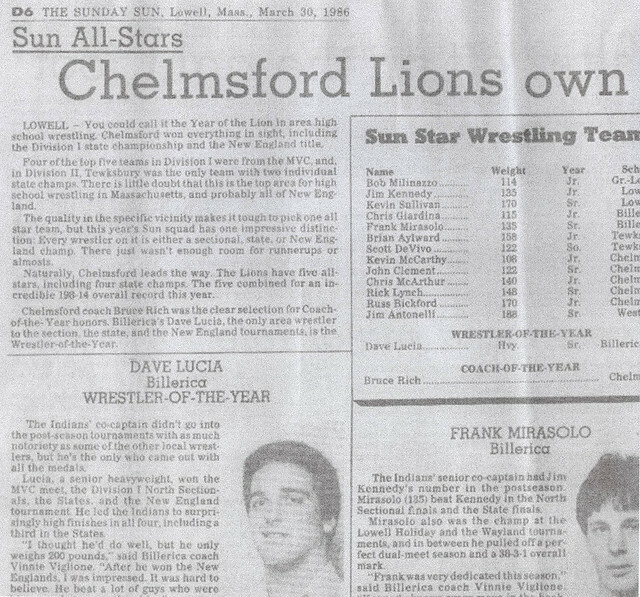 For his entire high school career, Jim compiled an incredible overall record of 125 wins, 9 losses, and 1 tie. 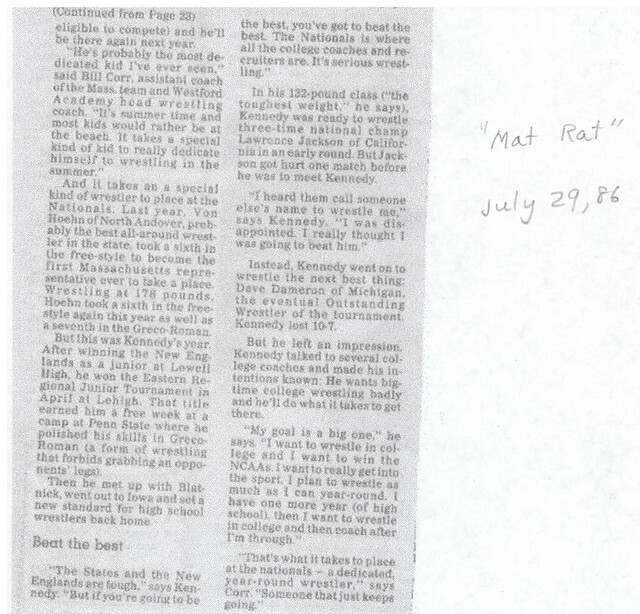 During high school Jim was also active in summer wrestling. 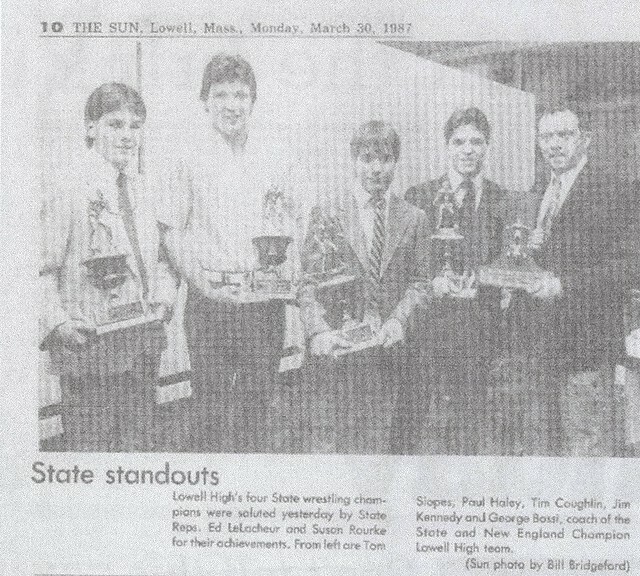 He won three New England Greco-Roman Championships and four New England Freestyle Championships, as well as an Eastern States Greco-Roman Championship in 1986. 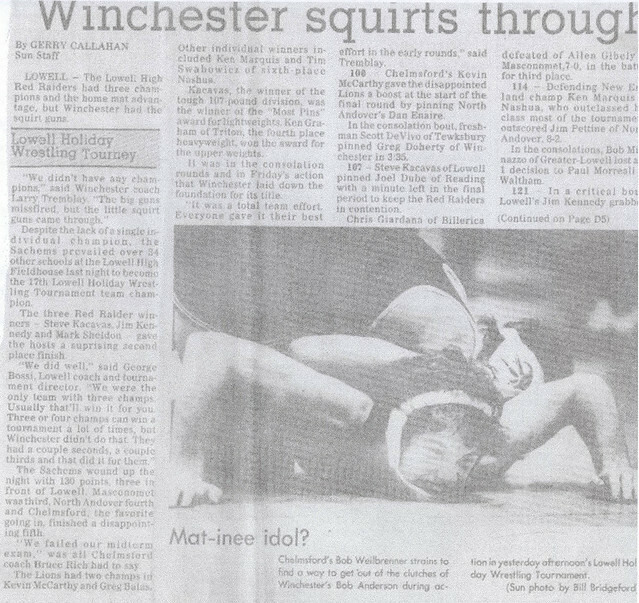 He participated in five National Junior Tournaments, twice winning All-American honors in Junior National Wrestling. 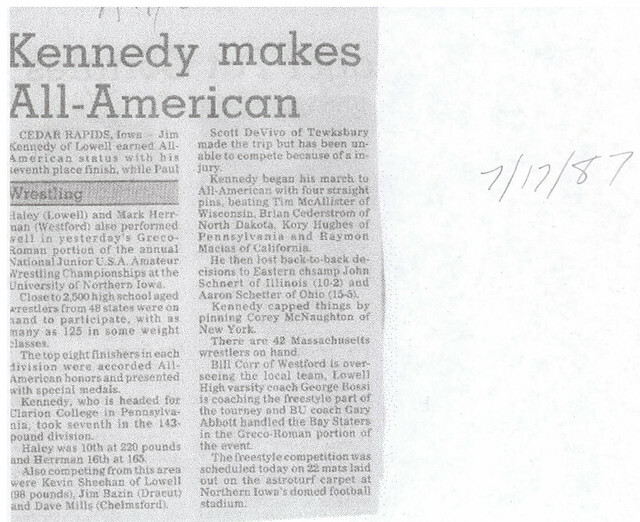 He was the 1st Massachusetts wrestler ever to earn such an honor. 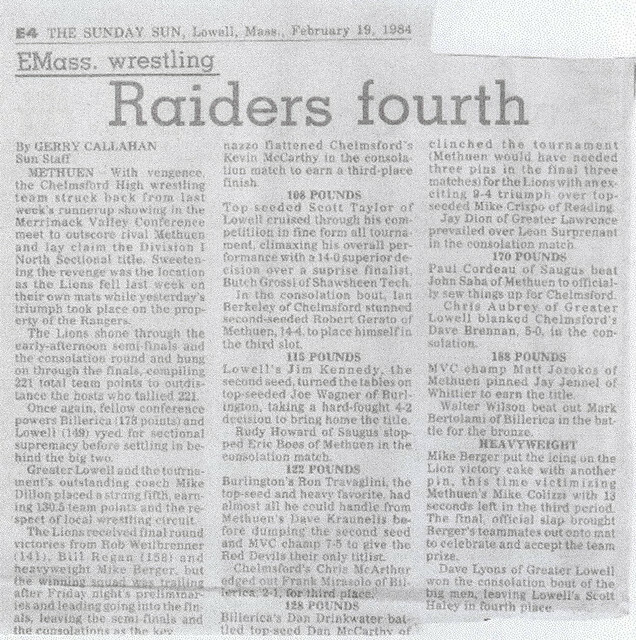 After graduation, Jim continued his mat exploits at Clarion State and the University of Massachusetts at Lowell. 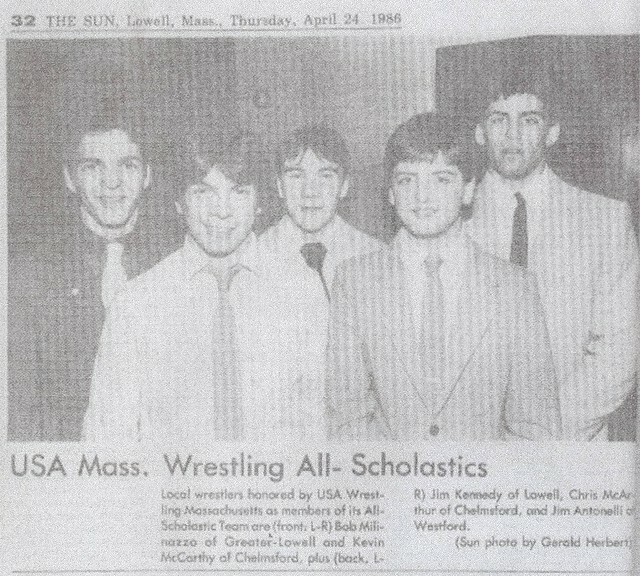 At UMass Lowell, Jim was a 3-time New England Champion at 150-lbs. 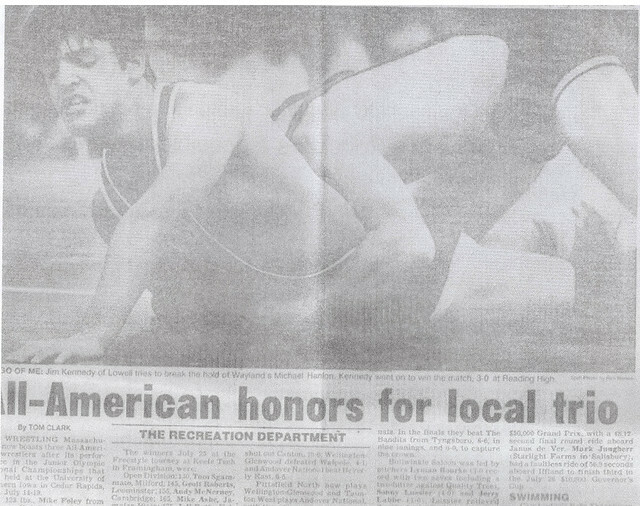 A 2-time NCAA Regional Champion and Tournament Most Outstanding Wrestler, Jim’s collegiate career culminated when he achieved All-American honors in 1990 and Academic All-American honors in 1991. 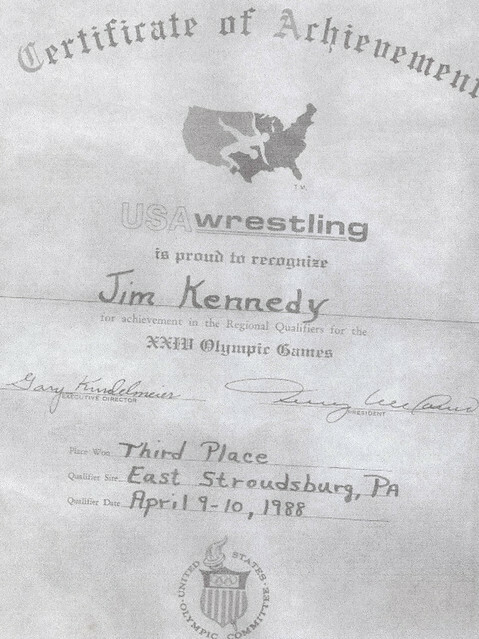 Jim also qualified for the XXIV Olympic Trials in 1988.